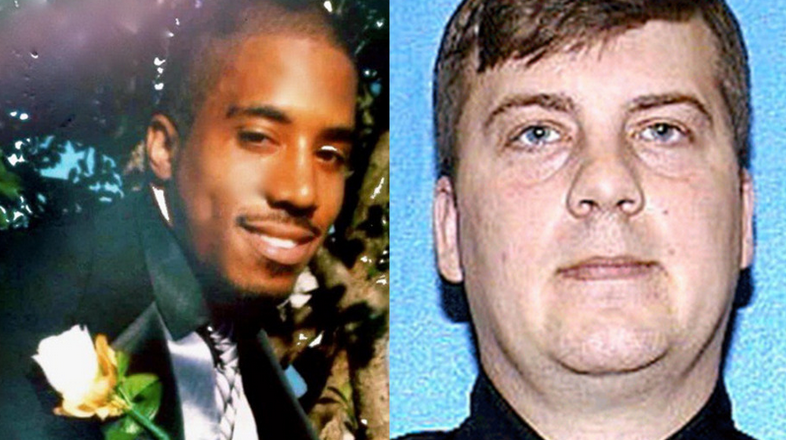 The news: Milwaukee County District Attorney John Chisholm announced Monday that he would not be charging former Milwaukee police officer Christopher Manney, a white 38-year-old, in connection to the fatal shooting of 31-year-old black man Dontre Hamilton in April. Though several details of the case are not totally clear, this shooting marks yet another case in 2014 in which a white police officer has gone uncharged in the death of an unarmed black man, a decision that has sparked outrage and anxiety in the wake of the Michael Brown and Eric Garner grand jury decisions. The case: The shooting occurred in April when Starbucks employees reportedly called 911 after concerns of a man sleeping in a nearby downtown park. Manney, a 13-year veteran of the Milwaukee Police Department, began patting Hamilton down when a struggle ensued. Manney took out his baton, but Hamilton grabbed it and tried to beat the officer over the head. According to a press conference, Police Chief Edward Flynn said, "[Manney] withdrew his sidearm and fired several shots at the individual, striking him numerous times and ultimately causing his death." At the time, Manney said he didn&apos;t know how many shots he&apos;d fired and Flynn said it could have been as many as 10. However, later investigations found Manney fired 14 rounds. Since the shooting, police officials have reportedly tried to highlight Hamilton&apos;s issues with mental illness and said the "mental health system failed him," reports the Milwaukee Wisconsin Journal Sentinel. The decision: Since the incident, Hamilton&apos;s family and protestors called for Manney&apos;s arrest, but Chisholm&apos;s recent announcement made it clear that would not be happening. "This was a tragic incident for the Hamilton family and for the community," Chisholm wrote in his release. "But, based on all the evidence and analysis presented in this report, I come to the conclusion that Officer Manney&apos;s use of force in this incident was justified self-defense and that defense cannot be reasonably overcome to establish a basis to charge Officer Manney with a crime." However, Police Chief Flynn did fire Manney in October. It wasn&apos;t for using excessive force, but because "he did not follow department rules in the moments leading up to the shooting," reports the Journal Sentinel. Meanwhile, others in Milwaukee took to the streets to stage protests outside the courthouse and in Red Arrow Park where the shooting took place.